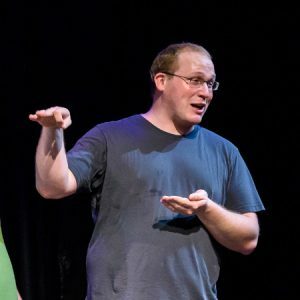 Henry grew up in Montana, but that didn't stop him from charging into improv with the troupe P.I. in his junior year of high school. He plays with the Tiovivo Harold team and has performed with the indie troupe Huggy Smalls since 2015. He has competed in FIST several times, squeezing out a win with Childish Things in the 2017 tournament. Henry received the lion’s share of his improv training with the National Park Service. “Yes, there is a tiny Washington Monument buried next to the big one. And…” He continues to enjoy his childhood passion of walking while reading, despite DC’s many low-hanging tree branches.